If you’re looking for the most successful footballing city in England, look no further than Liverpool. It is home to two powerful teams and their legions of fans ? Liverpool and Everton. Together these teams have brought in 27 League Championships, 11 FA Cups, 6 League Cups, 4 European Cups, 3 UEFA Cups and 1 Cup Winners! Lauded as the European City of Culture in 2008, Liverpool is a bustling English port city with plenty to offer locals and visitors alike. Starting out as a borough in 1207 through the Royal Charter granted by King John, the city has now come a long way and was even considered the Second City of the Empire, with its wealth exceeding that of the UK’s capital London at some points in the 19th century. Being a port city, Liverpool is known to have a very diverse population. The oldest Chinese community in all of Europe and the oldest Black African community in the UK call the city their home. Currently, the metropolitan area’s population is estimated to be over 2.2 million people hailing from a wide range of cultural and religious backgrounds. The Guinness Book of Records declared Liverpool as the ‘World Capital City of Pop’ because among artists who had number one hits in the music billboards, a large number originated from the city compared to other locations. And of course, who would forget about The Beatles who made huge waves in the music industry? And yes, they came from Liverpool. As a port city, Liverpool continues to be a major cargo terminal and also serves as a base for numerous cruise and ferry services. The city is accessible by air via the Liverpool John Lennon Airport. Getting around the metropolis is easily done through its road and rail networks, which are very extensive and provide easy access to local and beyond-the-city locations. Vehicle services also abound, and if you are looking to sell your car in Liverpool in particular, we here at The Car Buying Group can help you as soon as possible, so do not hesitate to contact us. In 1207 King John granted a Royal Charter written in Latin and this marked the beginnings of Liverpool, which started out as a borough east of the Mersey River in Merseyside, England. The city is part of the historic county of Lancashire and originally just had a population of around 500. As a borough, there used to be only seven streets laid out in an H shape. It is said that the original street plan was designed by King John himself. Liverpool experienced slow progress and population growth including its fair share of battles in the 17th century. By 1699, the Act of Parliament made it into a Parish. Unfortunately on the same year, its first slave ship sailed for the shores of Africa bringing back 220 slaves from Barbados. In 1715, the first commercial wet dock was constructed; this together with the strengthening of trade from the West Indies and the silting up of River Dee spurred the growth of Liverpool. The slave trade brought in considerable profits as well, which contributed to the prosperity of many at that time. The 17th century was also the period when prominent local men became more active in the abolitionist movement. Among them were William Rathbone, Edward Rushton and William Roscoe. 1880 was the year when Liverpool officially became a city. Fifty years before, an intercity rail link was already established to Manchester, which boosted both cities’ economies. The slave trade was also abolished in the British colonies in 1833, though many traders would continue to deal with slavery in the black market for many years afterwards. Early into the 19th century, trade going through the ports of Liverpool became even stronger and brought in more wealth to the people living in the area at that time. This spurred the construction of major buildings, cathedrals and public monuments. Population rose rapidly and by the late 19th century and early 20th century, Liverpool has become a popular location to move to. The thousands of Irish migrants displaced in 1840 because of the Great Famine were soon joined by immigrants from all over Europe several decades later. The 20th century saw mass council housing building all over Liverpool due to the Housing Act of 1919. New suburban housing estates sprouted and so did many private homes. The housing boom in the city continued even after World War 2 and older city quarters were even redeveloped to become communities with higher living standards. It was not that Liverpool escaped the ravages of WW2; in fact, the city received 80 air raids that killed 2,500 people and damaged almost half of the homes in the area. Construction remained strong after the war not only because of rebuilding projects but because Liverpool also needed to house hundreds of World War 2 refugees from across Europe. 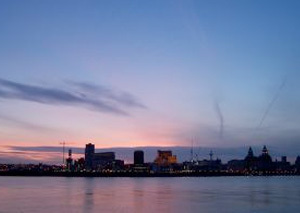 Liverpool experienced economic decline in the mid 1970s when traditional manufacturing industries started failing due to the rise of new technologies. The city’s docks became obsolete, for example, when containerisation became the norm. At some point in the 1980s, unemployment rates in Liverpool skyrocketed. Fortunately, recent years have seen the city recover economically. Now in the 21st century, Liverpool is once again enjoying prosperity and has become a vibrant city and a lively centre for popular music. Not only did it give the world The Beatles, it also produced amazing and successful musicians like Frankie goes to Hollywood, Echo and the Bunnymen, and Gerry and the Pacemakers. 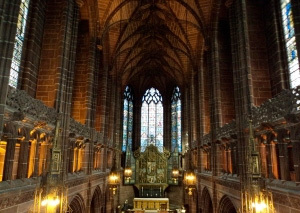 Any performance by the Royal Liverpool Philharmonic Orchestra is also a must-attend. 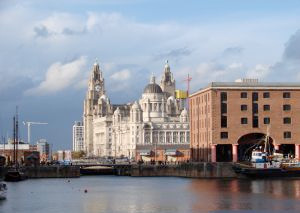 Thousands of tourists now visit the metropolis every year to enjoy the city’s diverse cultural heritage and iconic buildings such as the Three Graces near the River Mersey and the Pier Head Waterfront (designated as a UNESCO World Heritage site since 2004). Fancy a football match? See the Liverpool and Everton teams play. Want to appreciate art and history? Head to the Walker Art Gallery and the World Museum Liverpool. For easier access to the city’s numerous attractions, take advantage of the extensive rail links. There are also local buses that service main thoroughfares with the two principal termini found at Queen Square Bus Station and Liverpool One Bus Station. Travelling by river is also very much possible through the cross river ferry service operated by Merseytravel. If you prefer road trips, the road links in the city provide direct access to many areas in England. Car rental and vehicle repair and maintenance companies are plenty in Liverpool as well, making transportation within the city really easy. And speaking of vehicles, if ever you wish to sell your car in Liverpool for whatever reason (maybe you want money to finance a new ride or you plan to relocate and don’t want to take your vehicle with you), we can help. Just give us a call and let us know the make and model of your car and we will provide you with quality and speedy assistance. Overall, Liverpool has a fascinating history, diverse cultural heritage and plenty of great things to offer anyone. Travel to the city is highly recommended.